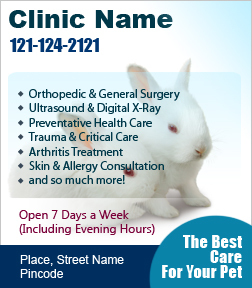 A 3.5 x 4 inch square corner animal clinic magnet makes a very preferred choice for advertisers of all genres due to its familiar shape. This magnetic sticker can be suitably customized with any pet care or pet services information. It makes a wonderful refrigerator magnet and it is often retained for long time due to the adorable content imprinted against it.